Marico Ltd has announced that it has got hold of healthcare brand named 'Ingwe' from South Africa's Guideline Trading. However, the country's fast moving consumer goods and personal care major has not revealed the sum of investment involved in the acquirement. Over-the-counter healthcare brand Ingwe has a revenue of Rs 150 million and its array of products consists of immuno boosters. Marico, which possesses hair and health care brands like Caivil, Black Chic and Hercules, forayed into the South African market in the year 2007. In a statement, John Mason, managing director, Marico, South Africa, stated, "Ingwe complements the Hercules range. I am confident this acquisition will strengthen our distribution reach and step up our growth momentum." 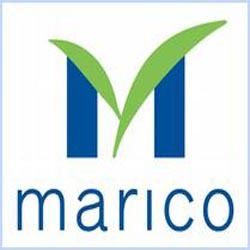 This is Marico's second purchase in the South African market and the seventh internationally since 2005. As per the company's declaration, Marico's South African business registered a 34% increase during the last financial year (2009-10), with the total biz size being `63.8 crore.